The Weekend Gourmet: The Weekend Gourmet Named to the Red Gold Family Table Blog Council! The Weekend Gourmet Named to the Red Gold Family Table Blog Council! Happy New Year! 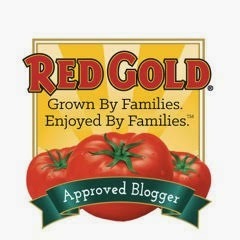 To start 2015 on a positive note, I want to officially share that The Weekend Gourmet has been selected by Red Gold Tomatoes as one of 15 bloggers making up the Red Gold Family Table blog council! I honestly can't think of a food company that I'm more excited to be affiliated with. I first met the Reichart family -- who own and operate Red Gold in Indiana -- when I took part in their Taste of the NFL contest during the 2012 Super Bowl week in Indianapolis. Since then, I've continued to work with them on a number of fun recipe promotions. Imagine my excitement when I received an e-mail a few weeks ago asking me to be a part of the Red Gold Family Table blog council! What does this mean to you as a reader of The Weekend Gourmet? I'll be sharing lots of tasty, family-friendly recipes featuring Red Gold's delicious tomato products. I can honestly say that they're the only brand of canned tomatoes I use in my kitchen! My first official post as part of the Red Gold Family Table is to create a snackadium featuring their salsa and diced tomatoes in time for the Super Bowl. 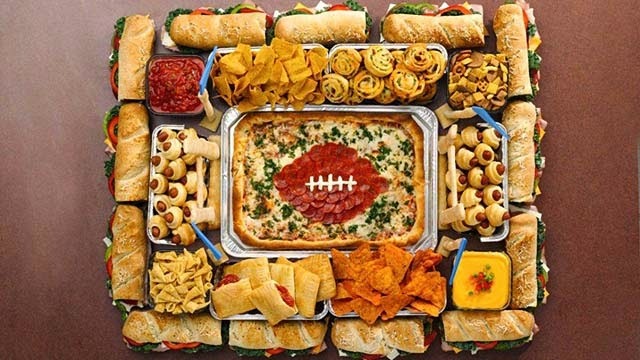 If you've never seen a snackadium, they're a creative way to serve game day snacks that are arranged to resemble a football stadium. Here's an example of a homemade snackadium so you know what Michael and I are currently in the process of designing together! As part of the Red Gold Family Table, I'll also be visiting their company headquarters in Indiana during the tomato harvest this Fall...and I'll be doing some live television cooking appearances here in San Antonio. My first cooking segment is scheduled for Friday, February 9th on KABB Fox 29's Daytime at Nine morning show. I'll be showing viewers how to make Red Gold Skinny Lasagna. I can't wait...here's to an exciting 2015! !